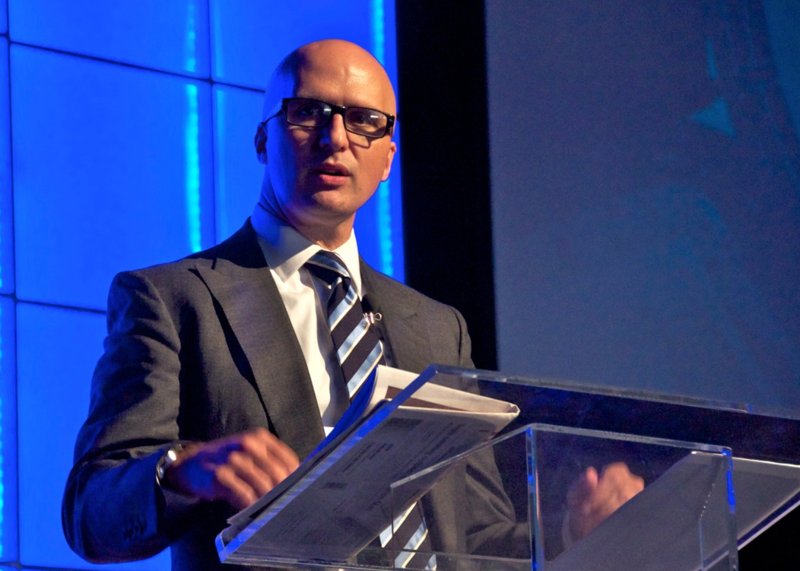 Aaron Renn’s March 24 posting on “The Logic of Failure” and his reference to “silver bullet” solutions for redevelopment and revitalization reminded me of my visit to the “Creative Cities Summit”, about revitalizing cities, three years ago this fall. The setting, timing and venue could not have been better, at least in terms of provoking thought about how to do things better. The setting was Detroit, the time was October, 2008, when the financial markets were crumbling, and the venue was Renaissance Center (“RenCen”), the Robocop-like mixed use center that is headquarters for General Motors. I flew in the night before and opened my door that morning to a newspaper lying in the corridor on which the top headline read “GM in Merger Talks With Chrysler”. This was the beginning of the end as the auto industry had known it for the last 100 years, and those very same corporate managers were coming to work 30 floors above me. This was my first trip to Detroit, so I decided to take a quick ride on the People Mover to see the city. With a station attached to RenCen, this automated system took me on a loop around the city, on elevated tracks 20 feet above street level, without my having to set foot on the street. The first thing I was conscious of was that this was supposed to be rush hour and no one else was on the people mover. For that matter, there were few people on the streets. Some cars streamed off the freeway and almost directly into the RenCen parking garages, but not many, and even fewer people were out walking. Most of the buildings between the stops also seemed to be empty. Most of were of the same pre-WW II vintage and quality as those on North Michigan Avenue in Chicago and in Mid-town in Manhattan, but there was no one in them. It was like an old Star Trek or Twilight Zone episode in which something has happened and the population has disappeared. I gradually became aware that many of the stops were at Sim-city like attractions – the kind you are allowed to build when your city gets to a certain size- such as the convention center, an arena, a baseball park, a football stadium, and a casino. Each of these must have taken hundreds of millions of dollars to build. I thought, “They’ve been spinning the roulette wheel, hoping to get the tourists and suburbanites back into the city”. But what had the city fathers done for the residents themselves? Later I was to walk through Campus Martius, a center city park that people take considerable pride in, but even in the middle of the day it was largely empty. On the last day of my trip I walked up Woodward Avenue, the grand street at the center of the city that used to be the main place where people shopped. The buildings on one side were largely empty. The buildings on much of the other side were simply gone, some torn down for underground parking garages that were to be the new base of new office buildings to be built by private developers. These office buildings didn’t materialize. After this trip I began to compile a list of the “silver bullet” solutions, of redevelopment projects that city leaders have put in place in various places across the U.S. over the last sixty years like those I saw in Detroit, and that I present here. Early in my career I prepared marketing and feasibility studies for these things, so I knew there would be a number of different kinds, but I was still surprised at their number when I stopped counting. Like Baskin Robbins, there are 31 flavors on the list, and it would be easy to add to it. Graphic by Carl Wohlt from an original chart and information by Rod Stevens/Spinnaker Strategies. Please do not re-use without attribution.I have divided these into three kinds of projects: business, retail and tourism, and transportation. 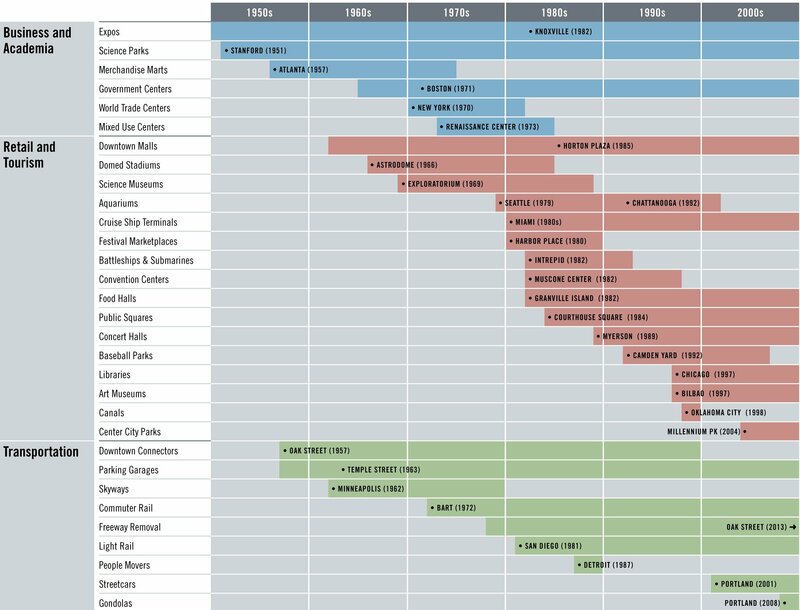 The bars show the decades they span, from the 1950s through the 2000s, with the earliest kinds of projects shown first. Expos, first on the list, actually started with the Crystal Palace and the Great Exhibition in England in 1851, which later inspired Chicago’s “White City”, but my time frame here starts after WW II, when American cities began to consciously redevelop themselves in the face of suburban competition. For each kind of project I have also included an example and the year that example opened. The examples were not always the first built, but they inspired others to follow. For example, the Ontario Science Centre came before the Exploratorium as a modern, hands-on science center, but it was the Exploratorium that most of the other centers in the U.S. looked to as an example. San Diego’s Horton Plaza was not the first downtown mall, but it excited a lot of talk in the world of urban development. Notice that the largest category is retail and tourism. If you really looked behind the rationale for most of these projects, you would find that most were in fact aimed at tourists or at suburban shoppers who had fled the city. The grand-daddy of all redevelopment projects is Ghirardelli Square, which remains vital to this day, although the upper floors have now gone condo for rich people who want to keep a place to stay in the city. Ghirardelli inspired the festival marketplaces of the 1980’s, many built by the Rouse Company, and many of which are now struggling. These later morphed into the food halls inspired by Granville Island in Vancouver and the Pike Place Market in Seattle, and, more recently, the market halls or sheds for farmers markets that have recently begun to show up. Notice the trend here for an ever-more-local clientele. Partly this is due to retail trends. When Ghirardelli first opened, it was filled with unusual boutiques selling clothing and glasses not found in the malls. Today you can buy these things at suburban “town centers”, where chains like Crate and Barrel keep a good selection of wine glasses and linens. There is almost a flavor-of-the-month approach for transportation as well, which really started with the downtown connector freeways aimed at whisking shoppers to ailing main streets. More and more cities are now tearing out these freeways and converting the space to parkland. What’s more interesting is the evolution in rail, from heavy systems like BART and the DC Metro, to light rail in places like San Diego, to the current passion for street cars. Transportation is becoming lighter than air, and now this is even an urban gondola in Portland, with Vancouver planning a second on Burnaby Mountain. Years ago Disneyland had one of these, for frenetic visitors eager to punch all of their E tickets. Notice how few kinds of business-related projects there have been. Science parks, which started with Stanford and the Research Triangle, have mostly been in the suburbs, but a few are in the city, such as Yale’s Science Park, and more are on the drawing boards. Carnegie Mellon’s Collaborative Innovation Center may be the best example of integrating academia, industry and the city, for here private sector tenants come together on a campus in the middle of a very urban city. Notice just how briefly projects like Renaissance Center were popular. John Portman, an Atlanta architect, designed the most prominent of these, including not only Renaissance Center but the Hyatt Regency/ Embarcadero complex in San Francisco (which is connected with sky bridges), Peachtree Center in Atlanta, and the Bonaventure Hotel in downtown L.A. At the time these were the wonder of their cities, and tourists came in to gaze upward at the atriums and light-bedecked elevators that moved through these. They almost all included office buildings, hotels, and mini-shopping malls, and almost never housing. Many of these were introverted, arrived at by car in special drop-off lanes, with the pedestrian entrances being hard to find. Few or no lobby windows faced out onto the street. At Embarcadero Center in San Francisco, the main level of pedestrian activity is one floor above the street. and for about 20 years it had a thriving trade of office workers from nearby buildings eating and shopping there at noon. Now most of that lunchtime activity is out walking along the Bay, on the true Embarcadero, or eating in the Ferry Building next to it. And then there are the truly wacky projects, which may or may not work in their own right. Projects like the automated people movers in Detroit, Miami, and Morgantown, West Virginia. The canal in Oklahoma City’s Bricktown “entertainment” district. And the submarines and battleships, like such as a submarine in the prairie land of Muscogee, Oklahoma and the dreadnaught Olympia at Penn’s Landing in Philadelphia. The Olympia ship may be headed to the scrap heap, for lack of support and visitation and Penn’s Landing has struggled because of its isolation. Fish don’t shop. Why is it that these projects work in one place and not in others? And why is that Portland has pioneered so many of these projects? I believe the answers are related, and having grown up in Portland, with a family that was involved in creating some of these solutions, I can offer some insight. 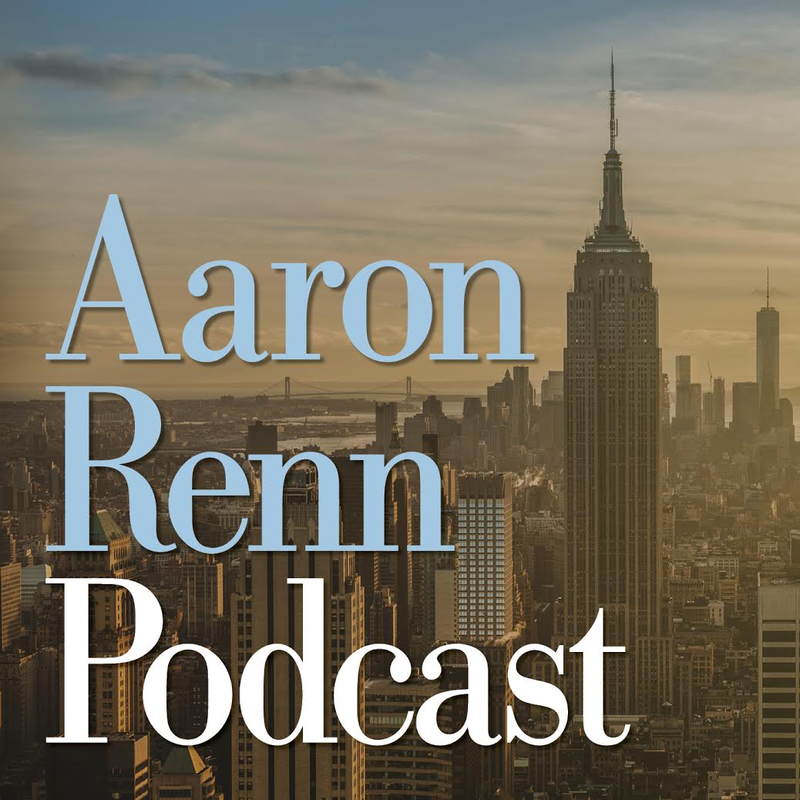 Aaron Renn uses the term “silver bullet”, and that is exactly why many cities copy other cities’ solutions: they hope these will magically solve their problems. But as Aaron points out, these other cities frequently fail to adequately define what problem they are trying to solve, and what their priorities are. The approach that works well in one city for one set of challenges will not work well for a different set. But why has Portland been so successful? I believe there are three reasons: 1) crises and political turnover that opened the community up to questioning and new leadership; 2) a growing facility with problem definition and problem solving; and 3) the attraction of “outsiders” who joined the community and brought fresh new approaches and energy. Without getting into too much detail, the political crises included a revolt and mobilization of the citizenry in the 1960s, when private interests tried to take over the public beaches. Never before had the legislature seen so many private citizens flood its conference rooms, and this led to other conservation measures like the bottle bill, land use planning and the Willamette River Greenway. This activism, growing at the same time as Vietnam War and Watergate, brought a new generation to power in the early 1970’s, including Neil Goldschmidt, who pushed forward light rail system when citizens revolted against more freeways. And the final event was a very, very deep recession in the early 1980s, when most of the major timber companies closed shop or left town, leaving behind a vacuum of power in which it was easier to make broad-based decisions. Oregon’s growing environmental reputation and the easier entry into the circles of power drew in like-minded people from throughout the country, and some of these people helped push the city in new ways. Most importantly for Portland, and perhaps for other cities, the community got better at problem solving, at not simply reaching for off-the-shelf solutions. In the 1970s, relatively strong retail, on the street downtown, led the community to reject a multi-block retail project connected by sky bridges that was proposed by Canadian developers. That first light rail line took care of a transportation need when citizens said no to a freeway that would have wiped out miles of neighborhoods. “Fareless Square”, downtown, was a response to federal air pollution rules that made it tough to build new parking garages. The streetcar that opened in 2001 simply connected an already-strong downtown with Northwest Portland, a strong residential neighborhood that is the densest in the state. Portland has had its failures and misspent money – the Rouse project is now ailing and the extension of the transit mall has killed retail along its length- but its successes come because they are rooted in local needs. Hopefully this trend is developing nationally. The failed Rouse project in Milwaukee, aimed at drawing tourists back into the city, is now re-oriented to more local shoppers, largely because Mayor John Norquist would not give it more subsidies. Money is flowing out of big downtown projects and into more neighborhood-based retail projects, like those sheds and squares for farmers’ markets. And we are putting more of an emphasis on “productivity” projects, aimed at creating good places to work, and fewer on the “consumption” side, retail and housing. More cities are realizing that great places draw good talent, and that they need to focus on the work side if they are going to participate in the modern knowledge economy. Already we are seeing more collaboration between the city and the universities, and while much of this new development still takes place within the walls of the campus, in some places like downtown Phoenix, where the new Arizona State University campus has opened, the city and the university are one, without walls. It will be in leveraging the talents of our people, and our anchor institutions, that we do our best problem solving, and create the most interesting and durable of places. One correction re Canals. Both OKC and Indy have downtown canals, both intended to replicate the success of San Antonio’s Riverwalk. Indy’s dates to the mid-19th Century and was a rebuild. It came before OKC’s, and has been less successful as an entertainment center. 2. Downtown arenas (basketball/hockey), such as Market Square in Indianapolis (1972), which returned to the Boston Garden/Madison Square Garden pattern some years before before suburban arenas fell out of favor. While I think transportation projects can be a “flavor of the month” redevelopment strategy, I also think that they coudl be more than that. I often think that building new highways in cities was not as detrimental as removing the old rail and streetcar trolley lines. Our old neighborhoods were built on them. Imagine ripping out an Interstate now. The businesses along that road would wither. The Interstate is their lifeline. Same with many of our urban neighborhoods. We do need to be creative-not all cities have the resources to build a Portland-style system. However, I do believe that transit is an issue that will define cities in the 21st century as it did in the early 20th. One of the reasons silver bullet solutions have such a spotty record of success is because the projects often go to needy, rather than needed, areas. As Chris Barnett says, downtown pedestrian malls were were one such fad. One example of a successful pedestrian mall, the Third Street Promenade in Santa Monica, Ca., is held up for other cities as what will happen. A lot of pedestrian malls are failures because they lack the key ingredient Santa Monica has: the existing pedestrian traffic to justify closing off a street to cars. Of course, having the Pacific Ocean next to you helps a lot, too. There’s a cognitive dissonance created when a civic endeavor is one of aspiration and desperation. How could a silver bullet become a point of civic pride when it has to be given to areas of economic or social distress? The Batfish submarine is in Muskogee (with a K not a C) and it was floated up an existing navigable canal that to this day serves as the nation’s most “inland” navigable canal. That canal is still commercialy viable. The submarine is an interesting attraction in the small city of Muskogee (approx 60,000) which is a 2 hour drive from OKC and should not be considered any part of the Oklahoma City metropolitan economic devleopment efforts. Secondly, to classify Oklahoma city’s project as a “canal” drastically oversimplifes (and under-represents) the tremendous progress that has been made in OKC. The canal is simply one landscape feature of an extremely successful entertainment and retail district. The Bricktown District is not a standalone district — adjacent to Bricktown is the large and growing medical research corridor, specialty retail/restaurant and other mixed use in the “automobile alley” historic corridor, and truly unique alternative sports destinations including a grain psylo re-purposed ito a world-class indoor/outdoor climbing gym, olympic-class rowing facilities, powerboat racing venue, etc — all of which bring substantial numbers of regional and out-of-state visitors to the city several times a year. The metropolitan library, public gardens and indoor arboretum, bombing memorial, etc also attract a significant number of visitors and general “traffic” (the good kind) throughout the urban center. Additionally, urban residential devleopments ARE springing up adjacent to Bricktown and spreading into our “midtown” areas — all energized by the initial Bricktown development. Mr. Stevens, I would urge you to take a closer look at Oklahoma City — I think you will find that your inclusion of the city in this particular article is somewhat uninformed and you might actually find some models for success in the case of Oklahoma City. I am no economist — but I can’t think of too many city’s within OKC’s size cohort that have managed to maintain the level of economic vibrancy over the past 5-6 years (especially when you consider that OKC actually improved downtown and midtown utilization, not just maintained). Don’t get hung up on whether city’s like OKC do or do not meet preconceptions of walkabilty, etc. that may apply more easily to older cities (i.e. eastern cities and western coastal cities). I thikn OKC provides a compelling example of what mid-sized metropolitan areas can accomplish in economic development while working within the cultural realities of the region. In the interest of full disclosure, I live in Norman, OK — a city of 112,000 on the southern edge of Oklahoma City. I AM very impressed with Oklahoma City’s downtown urban devleompents, and I think you might find more than meets the eye if you were to conduct a focused case study on this city. John, I’ve been urging Aaron for some time to visit OKC and add it to the cities he follows. Also similar is housing affordability. The two metros typically rank 1-2 every year. One big forward-looking advantage to OKC: the plan to move the interstate across the river, and to install some form of light-rail transit to reinforce existing density and serve as platform for even more compact development. We are recruiting more and more pro players each year…so perhaps we could arrange a scrimmage sometime soon! I e-mailed the author to plead my case….I understand how someone can miss a lot of nuance when putting together an article that is national in scope. So I am not slamming him — but I do think the two examples he gives from Oklahoma are not representative of what is really happening. Beyond that, I actually think we are a city that has (so far) got it right. I don’t know all the “ins and outs” of the tax revenue picture (i.e. what has truly been generated by Bricktown et al) but purely as a resident I have the perception that it is tremendous economic driver. You mentioned our I-40 re-route — I am absolutely thrilled to see some of the MAPS-3 concept renderings that have been shown for what we might develop south of the river — large riverfront park, townhouse mixed-use development. On your travels to Norman, have you spent actual time “touring” OKC? There is alot to take in — and I would love to hear more third-party perspective (I am not a planner, just one who is isterested in such things…so would love to hear what other more knowledgable observers might have to say). And if you haven’t been here in awhile, you will be surprised by the rapid build progress on the 50+story Devon tower. Sadly, Cincinnati is becoming the silver bullet capital among U.S. Cities………..copying Portland has become a local development and political obsession. Retail and tourism often fail cause they don’t consider the market they are servicing. Niagara Falls attempted to be a convention centre hub by building the largest hotels in Canada. They forgot that they didn’t have an airport. Toronto was an hour and half away and Buffalo arrivals had to contend with a boarder. Convention goers like the convenience of airport to hotel in less than 15 minutes. The market Niagara Falls was servicing (anyone with a family within 3 hours drive) got siphoned off to Great Wolf lodge far from the core. Niagara falls didn’t need a hotels filled with king size beds. It needed hotels filled with bunk beds and partitioned rooms that two families can share. Defining and building on your existing market is key to a successful commercial project. Expecting a new market to show up without considering the huge expenses in infrastructure, marketing, and environment often leads to failure. Kind of tough to have a growth boundary when you border another state. The city put a kick me sign on it by wasting tons of tax dollars on stadiums that allow people in Kentucky to benefit without paying. Portland, too, borders another state–and just like the folks in northern Kentucky, the folks in SW Washington generally want no part of Portland’s urban planning. Metro has no jurisdiction in Washington State; Portland’s UGB does not apply there, and thus sprawl abounds north of the Columbia River. Yet the greater Vancouver WA area is highly economically depressed–much of the bleak employment statistics from the overall Portland metro area come from the Couv, not from the Oregon side. One thing that is a factor is that only two roadway bridges cross the Columbia; whereas there are five crossing of the Ohio in close proximity (and another freeway crossing further upstream). Also, Portland’s downtown is on the Willamette, not on the Columbia–the southern shore of the Columbia is dominated by uses such as industrial parks, golf courses, wetlands, and a racetrack or two. But “uncooperative goobers across the state line” is hardly an excuse for failure to execute proper urban planning. 🙂 OTOH, the uncooperative goober that Ohio has in the governorship is another matter–we in Oregon avoided a similar fate, by a razor-thin margin. I don’t know, sometimes competition from another state can bring positive results. Personally, I seriously doubt NYC would have finally rezoned it’s Brooklyn and Queens waterfront if the folks in Jersey City didn’t push them by developing theirs. I can’t help feeling a certain sense of justice with Cincinnati’s stadiums. They made the wrong bet and the folks accross the river are making them pay for it. I found this to be a very interesting article. Being from Billings, MT we always have this “well, they did it in ________ and it worked.” Political leadership likes to see what works in other cities and regions and then try it in Montana w/ mixed results. I think the major point of this article was not that some places are better than others, but that localized answers and solutions are the best. While there are only so many tools in the the transportation / land use planning tool box, they can be used in creative ways and must always consider the local geography, economy, and desires. The author made a good point about defining the problem and, it seems, that many of the “silver bullets” have been designed with tourists in mind and not residents. Also, in my mind, Portland works so well that I’m actually going to be attending PSU for a Masters in Urban and Regional Planning this next fall. The obvious unspoken model for so much of the city as tourist attraction is the alleged success of Baltimore. IMHO, a post closely looking at Baltimore would be a good idea. the Cincinnati stadium experience should be carefully examined…..the baseball park..expensive, but it’s a 100+ yr old tradition and fits the city (the team that is) well. The football Bengals, however,really illustrate the “silver bullet” concept. Sold as a “must” for big time city status..that in itself ought to be telling…….cadres of consultants, chamber of commerce types, corporate big wigs, and politicians lined up to booster this initiative….even a few ED and planning types who should have known better fell in line. The City/County sat down across from another cadre of legal and sports world sharks who maintained the leverage of a threat to go elsewhere..thus extracting an agreement that could not be characterized as equitable on any sane front. For all its glitz & glamor, the stadium is a hollow canyon..the team ownership epitomizes the death of civic responsibility–replacing the same with a callous disregard for the local government’s hardships incurred through this lopsided agreement. They (owners ) are content to go on losing because they make piles of money doing so. Corporate boosters are content to man their sky boxes on game days, looking down on the delusional face painting brigades mugging for the cameras. So , in the end..what does this do for the City/County/Region? Not very much..except perhaps to provide a reasonably legitimate outlet for excess testosterone. Pity the poor city that gets these bums once they threaten to leave Cincinnati and get stonewalled by the hopefully sane powers that be at the time. A naive , but sincere wish. In spite of some level of respect for the Rooneys, I also found their behavior towards the city, disgusting. I know, football is their business and they can’t be expected to be urban planning experts. However, I can’t see how an inteligent person who had seen other cities and knew even a tiny bit about business, could have thought their stadium–which is empty almost all year, would be an asset to the city–and that is what they sold it as. Obviously, I mean the city of Pittsburgh. Interestingly, domed stadia actually ARE an asset to a city when they are attached to the downtown infrastructure and/or the convention center (as in Indianapolis and Atlanta). Very little new parking infrastructure was built for Indianapolis’ Lucas Oil Stadium; the location just outside of the CBD took advantage of all those spaces built for weekday use. The attachment to the convention complex makes it possible to use the stadium as part of trade shows. The covering makes it possible to use for large events year round (concerts, NCAA Basketball Final Four every five years, NFL Combine, motocross, monster trucks, etc.) because there are no weather issues. Contrast this with the stadia in Dallas and Phoenix, where aerials show a sea of surface parking around a huge building, far from anything else. Contrast with Pittsburgh where the only realistic additional use for the stadium is for other football (including soccer) games because of the weather exposure. You have to have a pretty poor opinion of Pittsburgh and it’s future to think that any stadium of that scale, in that location would be the best use of some of the best flat land in the city. This obviously implies all those spaces were needed and would have always had to be there. With better transit and development patterns, Indy could very well not need so many spaces in the future. Sadly, one now has a major city actor with a huge interest in retaining that parking. Wow, John, are you always so good at finding the cloud around the silver lining? You could really stand to update the article and chart with more details about which project is where. In some places you mention the city and in other places you mention the project name or the developer. And how did extending the transit mall in Portland kill retail? I use the retail along the new transit mall every week. What is the “Rouse” project? Why is Light Rail attributed to San Diego but not any in Portland? Overall – the point of the article is clear, but the details are muddled because of the mixed use of developer, project, or city to describe things. For those outside of the planning world it makes no sense.